Go-getter Lexi Weintraub of Irvington, NY gets a gold medal for organizing and executing a fundraiser in record time! When Lexi learned about Charley’s Fund in May, school was already winding down. But Lexi was determined to do something to help before her classmates scattered for the summer. So she thought up a fundraiser, met with school officials to get permission, and pulled off “pajama day” during the last week of school. 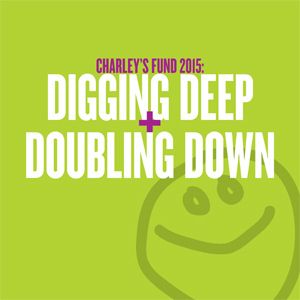 A $2 contribution earned kids the luxury of wearing pajamas to school plus a Charley’s Fund rubber wristband. Lexi’s enthusiasm is infectious; her parents were so proud of her get-it-done attitude that they matched every dollar she raised from her peers! Even better, Lexi plans to convene a group of friends this fall to brainstorm and plan more fundraisers. We love you, Lexi!